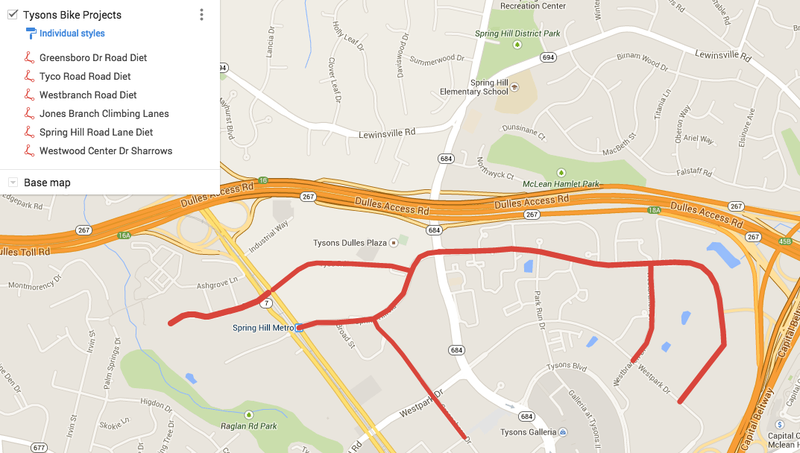 If you commute in the Braddock Road corridor, between Guinea Road and the Beltway, Fairfax County wants to hear from you. Fill the Braddock Road Corridor online survey to ask for better bike conditions and transit connections along this important roadway. It won't happen if you don't ask. The corridor connects the relatively densely populated areas inside and outside the Beltway. It links the Cross County Trail on the eastern edge with George Mason University to the west. As usual, bicycling is treated as an aside. The survey is part of the Braddock Road Multimodal Study which also has only a token mention of bicycling and seems to be "multimodal" in words only. What improvements would you like to see in this corridor? Download the survey and mail to Fairfax County Department of Transportation/Braddock Road Survey, 4050 Legato Road, Suite 400, Fairfax, VA 22033. Paper copies can also be picked up from the Braddock District Office, 9002 Burke Lake Road, Burke, VA 22015. The survey is part of the Braddock Road Multimodal Study that aims to develop and evaluate a number of improvements for the corridor. The study will also look at the potential development of a transit center in the vicinity of the Kings Park Shopping Center. For more information, you can also visit the Braddock Road Task Force online or contact the Fairfax County Department of Transportation at 703-877-5600, TTY 711. At the March FABB meeting representatives from VDOT discussed the current planning for bike facilities on the bridges across I-66 that will be rebuilt as part of the I-66 outside the Beltway project. Not all bridges will be modified, including the Stringfellow Rd bridge. For more info, consider attending the forum tonight, I-66 and Our Neighborhoods beginning at 7pm at Oakton High School. The meeting is open to all but RSVP is appreciated. FABB is co-hosting I-66 and Our Neighborhoods, a forum on the I-66 outside the Beltway project. Learn more about the project and hear comments from Supervisor Smyth, Stwart Schwartz of the Coalition for Smarter Growth, and reps from VDOT, Fairfax DOT, and the Fairfax Transportation Advisory Commission. The meeting is from 7pm – 9pm at Oakton High School, 2900 Sutton Road, Vienna, VA 22181. This is a great opportunity to voice concerns about the project's effects on our community and ask that bicycling and walking be an integral part of VDOT's multi-modal solutions to the I-66 corridor. There will be a brief panel discussion followed by an extended open forum Q&A. Each of these two projects proposes to reduce the existing travel lane width, and repurpose the extra space for bike lanes. No travel lanes will be removed. The meeting is being held March 25 at George Mason Regional Library 7001 Little River Turnpike, Annandale, VA 22003. The meeting scheduled fro 7:00 pm to 8:30 pm. Cyclists are encouraged to attend this meeting to learn more about these important projects and to support the County and VDOT in trying to make Fairfax County more bike-friendly. 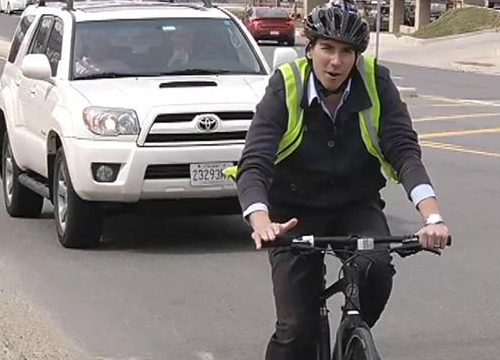 Proposal Could Bring Bike Lanes, Pedestrian Improvements to Tysons—News4's Transportation Reporter Adam Tuss looks at challenges for pedestrians and bicyclists in Tysons Corner, Virginia. Adding bike lanes this way means that it is virtually no cost to the county, said Tom Biesiadny, director of the Fairfax County Department of Transportation. A ribbon-cutting ceremony was held on March 4 celebrate the completion of the widening of Telegraph Road between S. Van Dorn St. and South Kings Highway. Bike lanes are included as part of the project along with a new sidewalk and trail. In the early stages of the project FABB members met with VDOT to discuss plans for the bike lanes and how cyclists would navigate this very congested and complex area. We haven't yet had a chance to see the new configuration. We'll be interested in seeing the end result. Kudos to VDOT for working with the bike community to add bike lanes on this roadway. Visit Fairfax, the county's tourist organization, is promoting a "self-guided tour of the area's splendid gardens." Three locations are listed, Meadowlark Botanical Gardens, River Farm, and Green Spring Gardens. The National Cherry Blossom Festival is held between March 20 and April 12. According to Visit Fairfax, "During the Festival, visitors are encouraged to check in at the main desk at each garden to receive a special complimentary momento. Log onto the individual websites or call for hours and directions." While the self-guided tour is geared toward motorists, it's possible to do the tour by bike. 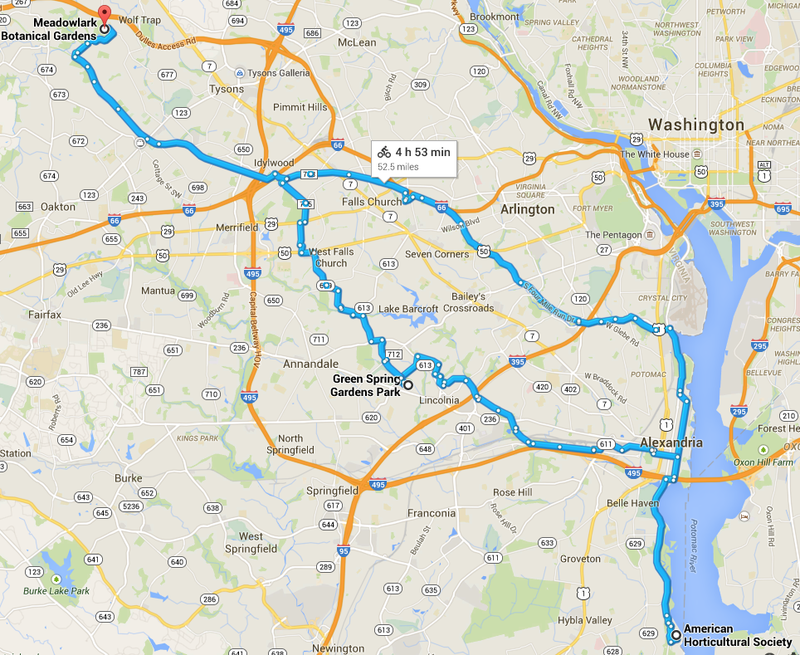 Using Google Maps bicycle directions we plotted a self-guided cherry blossom tour based on those three locations. We have not tried the routes and cannot recommend that you use them. Long sections of the W&OD and Mt Vernon Trails are included. From a quick review of the map, the least bike-friendly sections appear to be the short sections on Columbia Pike and Braddock Road. If you try these routes, let us know about your trip. 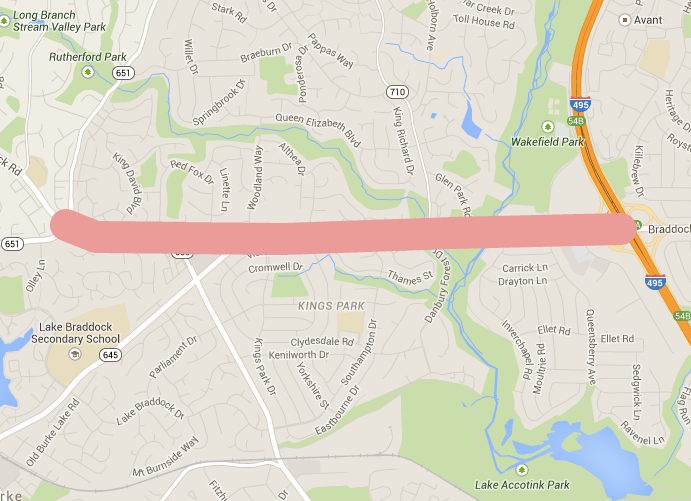 Fairfax County has scheduled another bike project information meeting to discuss on-road bike projects on Annandale Road and Evergreen Lane in the Mason District. The meeting is Wednesday, March 25 at George Mason Regional Library 7001 Little River Turnpike, Annandale, VA 22003. The meeting scheduled from 7:00 pm to 8:30 pm. According to the county, "Each of these two projects proposes to reduce the existing travel lane width, and repurpose the extra space for bike lanes. No travel lanes will be removed." Please consider attending this meeting to support these projects. HZDG's new space in DC. A recent Washington Post story provides another example of how businesses looking to the future are considering transit options, accessibility, and bike facilities as necessary elements to attract talented employees. 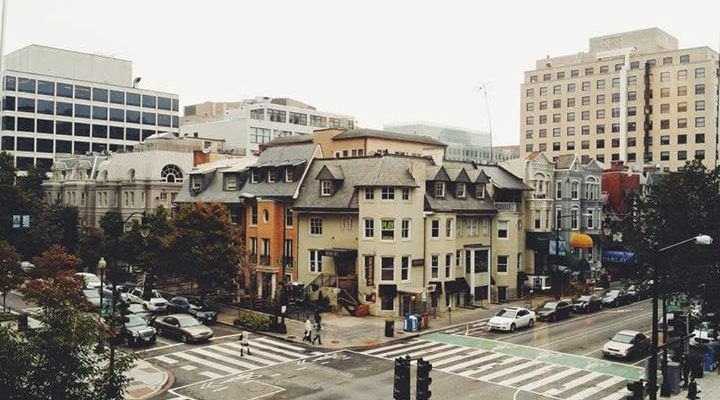 Karen Zuckerman, founder and co-owner of Rockville-based advertising firm HZDG, told the Post that her company is looking to add millennial workers and specifically acquired a 6,000-square-foot “co-worker” space in Dupont Circle (described by the Post as “millennial Ground Zero”) to keep her up-and-comers happy — and lure more to the company. HZDG made the decision after discovering “almost by accident” last year that its employees preferred to work in a small temporary office in Chinatown rather than the Rockville headquarters because of the Chinatown location's accessibility. HZDG also is trying to make its Rockville headquarters more attractive to millennials and that effort has included providing bike racks and exercise boot camps. Finally, this isn't just a Maryland business phenomena. The Post mentions that HZDG’s initiative comes at a time when, according to a recent study by the Brookings Institution, city leaders across the United States are moving away from traditional economic growth strategies that promote suburban and “far-flung industrial parks” to revitalizing downtown and urban areas. The Post also noted that CustomInk, a millennial-heavy T-shirt company with more than 1,000 employees, last year moved from Tysons Corner to Fairfax County’s Mosaic District, which re-creates a downtown with offices, restaurants, theaters and residences. Fairfax County is moving in the right direction by planning major bike facilities in Tysons as part of the summer repaving schedule and completion of the Bicycle Master Plan. However, it is going to be a major challenge to remake many of our activity centers into walkable, bikeable places. I-66 discussion at FABB meeting on Wed. Representatives from VDOT will discuss the I-66 Multimodal Study Outside the Beltway at the FABB monthly meeting tomorrow evening, Wednesday, March 18 starting at 7:30 p.m. Note that this month we are meeting at Braddock Hall, adjacent to the Braddock District offices, 9002 Burke Lake Rd, Burke, VA 22015. Everyone is invited to attend to learn more about proposed bike and pedestrian facilities planned on the many bridges across I-66 that will be rebuilt as part of this project. We've also asked for a briefing on current planning for the extension of the Custis Trail, a parallel paved trail that would extend from the Beltway to the western county border. The plan is included in the Countywide Trails Plan and the Bicycle Master Plan. See the FABB I-66 Info Page for more details. Fairfax County is holding another meeting on proposed bike projects. Five projects in the Mt. Vernon District are the subject of the meeting on Monday, March 23, 2015 from 7:00-8:30 p.m. All projects are part of the summer repaving schedule. Local cyclists were well represented in a crowd of approximately three dozen attendees at the meeting last night on Fairfax County's efforts to provide dedicated bike facilities in Tysons. Fairfax County is working with VDOT to use this summer's planned repaving of deteriorated roads to re-stripe selected streets to create bike lanes, climbing lanes, and sharrows. The county and state representatives expressed great confidence in their departments' assessments that improved safety for everyone, better traffic flow, and a more walkable and bikeable Tysons will result from the 8 proposed projects--3 road diets that will create new bike lanes in both directions, lane diets to add 3 climbings lanes, and 2 sharrows, which are listed and shown on the Fairfax County government website and in the image on the right. The speakers stressed that these improvements were interim low to no cost solutions until the ultimate development of Tysons is completed, more biking and walking facilities are added, and the bike lanes are connected. They also emphasized that the re-striping will not change the configuration of any intersections, which they cited as one reason why traffic flow will not be affected by the new street designs. In response to questions from the attendees, the speakers said that signage will accompany the new bike lanes but not the sharrows, that the speed limit on West Park will be reduced from 45 to 35 mph to bring it in line with other streets in Tysons, and that the County, VDOT, and local businesses are working together to publicize the changes. A representative from TyTran, the Tysons transportation management association, confirmed that local businesses were aware of the changes and were committed to improving safety for bikers and walkers in Tysons. The County and VDOT have completed the conceptual design and traffic analysis stages of the process and are now in the public outreach and comment period, which will last through 1 April 2015. After public comments are reviewed, plans will be reevaluated as needed with the goal of completing the design in April. Submit comments to Adam Lind of the bicycle program. The Town of Vienna wants more people to walk and bike to school, to shop, and for other short trips around town. The Town is sponsoring the Walk, Bike, and Shop Vienna! challenge. Funds raised will be donated to Vienna PTAs and local Safe Routes to School Committees. The challenge will be held from May 2-9. Other events that week include Bike to School Day on May 6 and the Vienna Bike Rodeo on May 9. Businesses wishing to participate will donate $50 to an aggregate PTA fund, which will be allocated to all Vienna Elementary School PTAs that participate in the Walk/Bike Challenge. In addition, we are also looking for 5 local restaurants willing to host a “Dining for Dollars” event during the week, and donate 5% of their total event-related proceeds. Bikes for the World is holding two collection events in Fairfax this month. Bikes for the World collects bikes, tubes, tires, parts, and all cycling accessories. Donated bikes will be distributed overseas, where they will be reconditioned by community organizations to improve the lives of impoverished people by helping them get to work, school and health clinics. Donated used parts will help mechanics repair bikes in Africa and Central America. 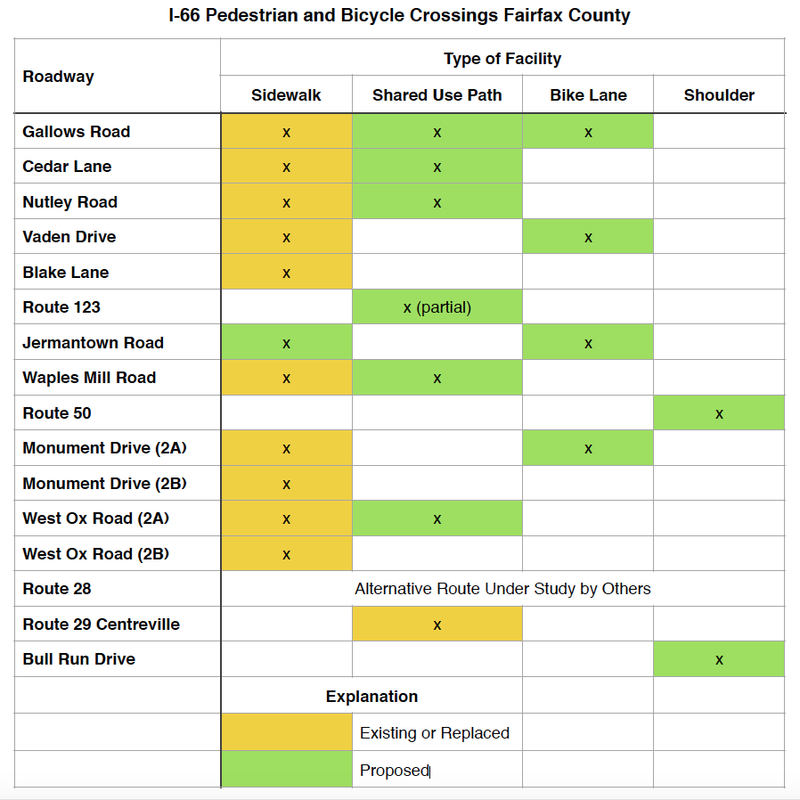 This is a reminder that Fairfax County is holding a meeting on several major bike projects in Tysons on Monday, March 16 from 7-9 p.m. at Westbriar Elementary School, 1741 Pine Valley Dr, Vienna, VA 22182. The school is located about a 1 1/2 miles from the Spring Hill Metro station. This is an excellent opportunity for cyclists to support the County's efforts to provide dedicated bike facilities in Tysons. These projects were identified on the recently adopted Bicycle Master Plan. The roads are being repaved this summer and for no additional cost, lanes are being restriped to include bike lanes, climbing lanes, and sharrows. See the Vienna Patch article on the meeting, Public Meeting on Bicycle Improvements in Tysons will be on March 16. Join us for a brief panel discussion, then an extended open forum Q&A. visit www.smartergrowth.net/I66 or the FABB I-66 Info Page. Bike Virginia is conducting a survey of bicycle travel in Virginia. According to a message from Kim Perry, Bike Virginia Executive Director, "the results will be part of the information available on our new ride information site www.ibikeva.com." The site contains ride and other VA bike-related information. See the survey results so far. Thank you Reston Bike Club! This year RBC is sponsoring two FABB member's attendance at the National Bike Summit. The summit, held in DC on March 10-12, brings together hundreds of bike advocates from around the country to share knowledge and success stories. 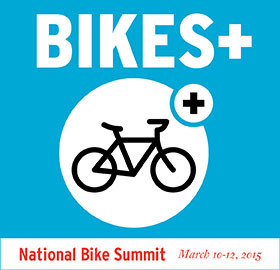 The theme of this year's summit is Bikes+ "We believe it's time to change the equation for bicycle advocacy. To build a bicycle-friendly America for everyone, we can't stop at bicycling as an end in itself. We must consider how bikes can add value to other movements and how our movement can expand to serve broader interests." Several FABB members are also attending the National Forum on Women & Bicycling held the day before the Bike Summit. The theme of the Forum this year is Bikes + Women Leaders = Big Ideas. "We believe in empowering women to take on positions of leadership in bike advocacy. By creating more diverse leaders, and proposing new systems of leadership we invite more creativity and innovation into the bike movement. We think this will lead not only to more women on bikes, but more inclusive conversations about bike advocacy." These events are a great way for FABB members to network with and learn from bike advocates from around the country. Thanks again to Reston Bike Club for your support. Along with a regular schedule of weekly rides, Reston Bike Club holds one of the best organized rides in the DC Metro area, The Reston Century. The 33rd Annual RBC Century will be held on August 23. On Sunday, March 15 Reston will once again host the NoVa Mini Maker Faire 2015. MakerFaire is "a family-friendly showcase of invention, creativity and resourcefulness, and a celebration of the Maker movement. It’s a place where people show what they are making, and share what they are learning. Makers range from tech enthusiasts to crafters to homesteaders to scientists to garage tinkerers. They are of all ages and backgrounds. The aim of Maker Faire is to entertain, inform, connect and grow this community." This year's event will include a "Bike Builder" exhibit with noted bike builder Bill Cook of Barcroft Cycles, Tim Fricker of bikes@vienna, as well as Rick Landers and Dr. Craig Clark of Reston's Pedestrian and Bicycling Advisory Committee. Homebuilt bikes will likely include one long wheelbase (LWB) recumbent, a sport trike, a tandem recumbent (record holder) and a traditional upright bike. We highly encourage those living in or near to Reston or who can to ride your bike to the Faire! We will provide free, safe, and secure bike valet. Additionally, you can take the Silver Line to Wiehle-Reston East station, exit the South side and follow the map and signs! Bike commuting is certainly a challenge these days, especially along unplowed trails and where trails cross intersections. We were out for a walk this morning and we could do so because Reston Association had already plowed their 55 miles of paved trails. RA has 4 small Bombardier snow plows. Staff are usually plowing trails shortly after snow ends. 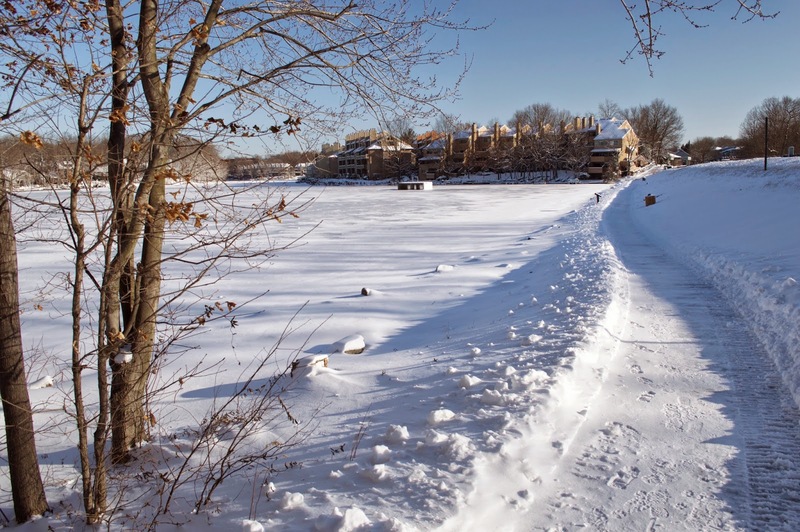 A year ago almost to the day we interviewed Brian Murphy of Reston Association about RA's process for plowing the Reston trails. Brian noted that even though RA uses plows, damage to the trail from plowing is rare. The trail at the right is at Lake Thoreau, a very popular trail leading to South Lakes Village Center. Because of the recent heavy snowfall and ice from the earlier snow, there is still some snow and ice on the trail but that will melt fairly quickly once the air temperature rises. Usually the Reston trails are completely clear of snow and ice after the plows move through. Northern Virginia Regional Park Authority purchased a snow blower to help clear snow from the 45 miles of the W&OD Trail. They've been plowing the trail this year but usually after a delay of a day or so after significant snow. As you can see from the photo taken this morning, the blower hadn't yet made it to Reston behind the YMCA although lots of people have already been walking there. You can see that there's also plenty of room for the lone cross country skier who had just passed, not to mention the unpaved side path that can also be used for skiing. Because the Regional Park Authority does not have the resources to rebuild the trail after every snowy winter, our preferred snow removal technology is blowing the snow. While blowers have an impact, it is less than the plows. In 2009 NVRPA invested in significant pavement markings to improve safety. These markings include rumble strips prior to every intersection, "Stop Ahead" lettering and other markings. In 2012/13 we added a highly reflective center stripe, again to enhance safety. With a ten foot wide, and 45 mile long paved trail, we are re-paving areas of the trail, and placing the markings in the re-paved areas every year as part of our ongoing maintenance, to keep it as the premium trail in the region. This maintenance investment means that every inch of the trail is rebuilt about every ten years. For significant snow fall of more than a few inches, and when the weather forecast calls for below freezing temperatures for a number of days, NVRPA will start in Arlington and clear the trail of snow with its snow blower moving west. If it is a very minor snow with a forecast for warm temperature and sunshine within a day or two, we will likely let mother nature clear the trail. Update, Sunday, March 8: By yesterday afternoon the NVRPA snow blower had made a pass along the W&OD Trail and by Sunday it looked like most sections of the trail were passable. Dranesville District is holding their FY 2016 budget meeting on Wednesday, March 4 at Great Falls Library, 9830 Georgetown Pike, Great Falls from 4-7 p.m. Cyclists are encouraged to attend this meeting to speak out for funding of the bicycle program, including funding for Bike Fairfax as recommended in the Bicycle Master Plan adopted by the Board of Supervisors last year. See the full list of upcoming budget meetings. VDOT is planning a significant construction project for the I-66 corridor outside the Beltway that includes additional lane capacity. The county Bicycle Master Plan and Trails Plan both call for a trail parallel to I-66 that would be an extension of the Custis Trail. Both plans also include bike facilities on bridges across I-66, many of which will be re-built to accommodate the additional highway lanes. Please contact the Board of Supervisors to ask that bike accommodations be included as part of this project. See the FABB I-66 Info Page for more supporting documentation. VDOT staff plan to attend the March 18 FABB meeting to discuss how they plan to accommodate bicyclists as part of the I-66 project. Everyone is welcome to attend and learn more about this important project. The meeting begins at 7:30 p.m. at Braddock Hall, 9002 Burke Lake Rd, Burke, VA 22015. Two bike-related bills were passed in this year's Virginia legislative session. They now await signature by Governor McAuliffe. See the full recap from Virginia Bicycling Federation. 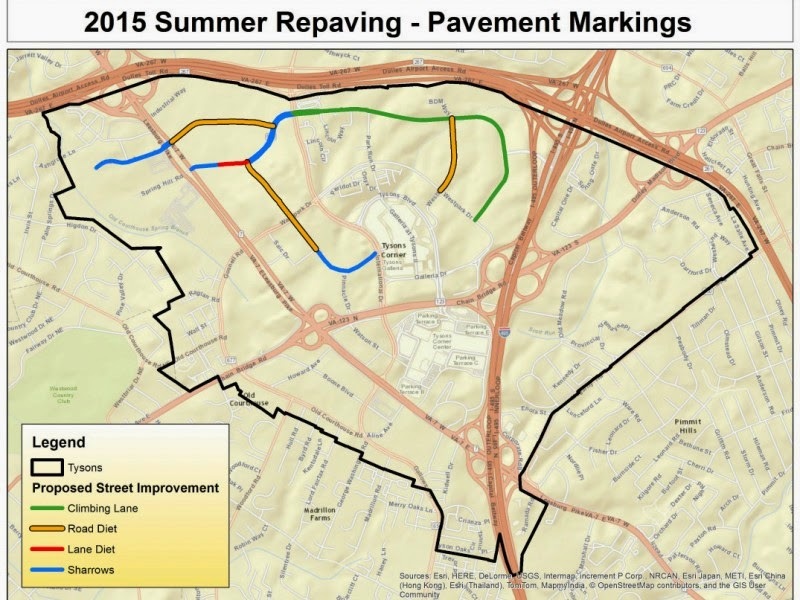 This year VDOT plans to repave a number of roads in Fairfax County. County Bike Program staff are working with VDOT to determine which roads could be modified to include new bike facilities, either through eliminating lanes (road diet) or reducing lane widths (lane diet). Public information meetings will be held on each of these projects. We'll be announcing future meeting dates on the FABB blog and Events calendar. It's important that cyclists attend the meetings and/or contact the Board of Supervisors to support these projects. Otherwise, local opposition could derail the bicycle improvements. Meetings on three projects were held in February. 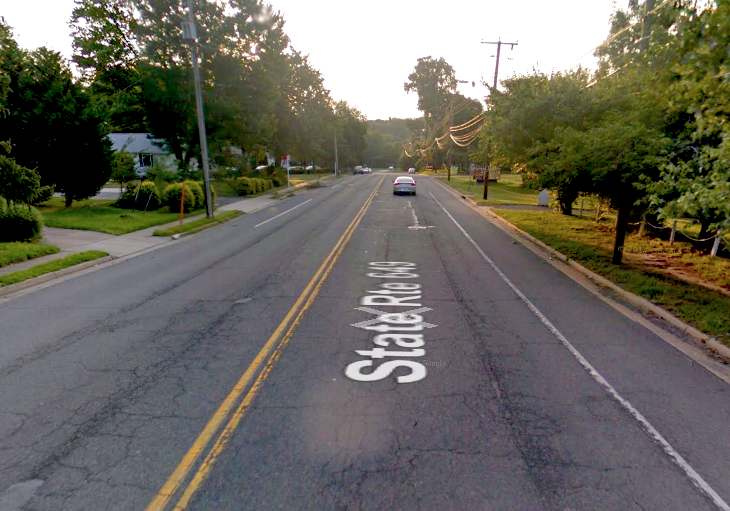 Write to Supervisor McKay to support the Kingstowne Village Parkway road diet, and write to Supervisor Herrity to support bike lanes on Burke Road and Shiplett Boulevard. Now that Fairfax County has a Bicycle Master Plan, funding is needed for implementation. As the county urbanizes, its transportation priorities are changing, and the funding priorities need to change as well. While new funds for a few bike projects were provided by the 2014 Transportation Bond, funds for the Bike Program have not been reinstated, and the county does not have enough staff to implement the many recommendations contained in the bike plan. Please submit budget comments or write to your Supervisor to ask for funding for the Bike Program and for Bike Fairfax. Also consider attending one of the budget town hall meetings this month. On January 13, Charlie Strunk, the county's first bike coordinator, retired. The county recently re-advertised the position and will be interviewing candidates in the near future. This is a critical time to have a bike coordinator in place given the recent bike project funding and the large number of bike projects being considered as part of the summer repaving schedule. Be a FABB Ambassador on Bike to Work Day! Believe it or not, Bike To Work Day is only two and a half months away, on Friday May 15. FABB is seeking volunteers to staff pit stops at the 14 Fairfax locations. FABB volunteers talk to people about our efforts to improve bicycling conditions, have them sign up for our e-newsletter list, and give out FABB materials. If you'd like to help out at one of the pit stops, please contact Douglas Stewart at douglasbstewart@gmail.com. To learn more about Bike to Work Day and see the pit stop locations, go to www.biketoworkmetrodc.org. Tour de Fat is a free bike party held at Yards Park located next to Nats stadium on Saturday, May 30. The all day event is sponsored by New Belgium Brewery and is full of music, fun, and games. Proceeds from beverage sales go toward funding bike advocacy in the DC area including FABB's work. This is our biggest fundraiser of the year and we need at least 20 volunteers. FABB volunteers are responsible for carding people who want to drink New Belgium beer. Please consider volunteering with FABB for a morning or afternoon shift at this event. All volunteers receive a t-shirt and two beverage coupons. Contact us for more info. Fairfax is hosting the World Police & Fire Games, the largest multi-sport event after the Olympics. Road and mountain bike races will be featured, including Time Trial, Sprint, Criterium, Road Race, Hill Climb (Road), and Cross Country (Mountain). While Fairfax is hosting the event, it appears that the only road races to be held in Fairfax County are the Sprint races at the Police training academy on the far western border of the county. The other races are in Prince William Forest (Time Trial and Road Race), Fairfax City (Criterium), and Mount Weather (Hill Climb). The Mountain bike events will be held at Fountainhead Park. Virginia celebrated Crossing Guard Appreciation Day on February 11. This was also the opportunity for VDOT's Safe Routes to School program to recognize Virginia's Most Outstanding Crossing Guards of 2014. Over forty crossing guards were nominated this year with six being recognized by VDOT. Those crossing guards routinely go above and beyond what is expected and are standout members of their communities. Two of the six recognized were from Fairfax County: Edie Adcock, Wolftrap and Colvin Run Elementary Schools (Vienna) and Cheryl Belloli, Centreville and Union Mill Elementary Schools and Liberty Middle School (Centreville). FABB appreciates all the work they do to facilitate walking and biking to school on a daily basis and their help during International Walk to School Day and National Bike to School Day. See the FABB blog for photos and more info. The Washington Post reported this past weekend on a Goldman Sachs study on Millennials, the generation born between 1980 and 2000 and totaling 92 million Americans, and what they value, some of which suggests increasing public demand and support for biking and walking transportation options. Goldman Sachs argues that the Millennials will change the American economy and will force companies to examine how they do business for decades to come. 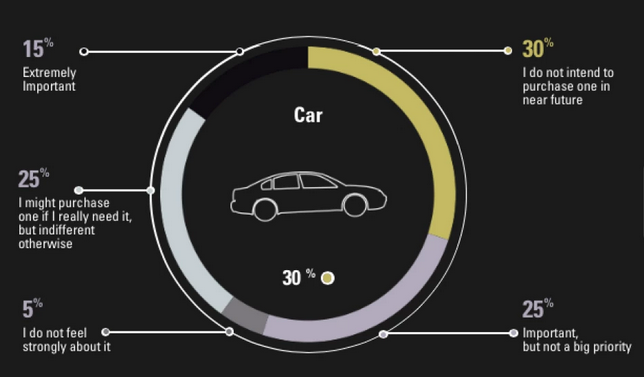 Of note to bicycling advocates, Goldman Sachs reported that Millennials—nearly a third of whom say they do not plan to buy a car—are gravitating toward cities, where they can use public transit, car-sharing services, Uber, taxis, bicycles, and their feet to get around. Millennials also are very fitness focused, increasing the likelihood that they will want biking and walking options that include paths and trails that access public transportation and provide longer distance commuting networks. Spring Hill Road - Combination of bike lanes/sharrows using lane diets. Now that four Metro stations are located in Tysons, many more people will want to bike to and from the stations. It's imperative that better routes be developed leading to those stations. The proposed routes are especially important for providing safe, convenient bike access to the Spring Hill station. We've also noticed that where bike lanes are plowed in the winter, they provide access to pedestrians, many of whom are forced into the street since most sidewalks and trails are not plowed. If you work or bike in Tysons, please consider attending this meeting to support these important projects. Check the Fairfax Bike Pages for details in the coming days. Bethesda-based Marriott International, according to a recent Washington Post report, is emphasizing accessibility to Metro as a means to attract talented employees and as a primary criterion for a planned relocation of its corporate headquarters within the region. In announcing the plan, Marriott chief executive Arne M. Sorenson said the company was looking for a location that would appeal to and attract the best talent. Sorensen said, “I think it’s essential we be accessible to Metro… [and] our younger folks are more inclined to be Metro-accessible and more urban.” Marriott’s headquarters is currently housed in a suburban office park located near Interstate 270 and the Capital Beltway. It is about three miles from the nearest Metro stop, which could be easily covered on bike if the infrastructure were available. According to a Montgomery County official, the county will try to work with Marriott on accessibility and other amenities to keep the headquarters in Maryland. Fairfax County's Board of Supervisors is focusing future development around transit, knowing that employees of all ages want transportation options; access to transit and the ability to walk and bike to nearby destinations. The county is slowly transforming but even some of our new mixed use centers, like Mosaic, are still not very accessible by transit or walking and biking. We need to make some major investments in transforming these places. The Fairfax County Executive released the FY 2016 Advertised Bicycle on February 17. While the Bike Program has funds for implementing some on- and off-road bike projects, they lack funds to implement the many program and policy recommendations contained in the Bicycle Master Plan that was adopted by the Board of Supervisors last year. 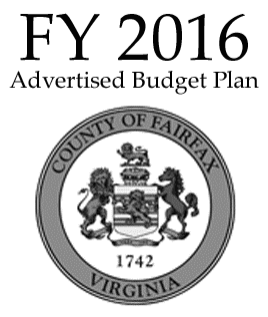 The County is asking residents to Share Your Feedback on the FY 2016 Advertised Budget. This is your chance to ask the county to allocate funds to implement the Bike Plan. Over the next month the Board of Supervisors will be reviewing submitted comments and make modifications to the budget. You can also sign up to speak at the Board budget hearings April 7-9. FABB will be testifying on April 7. We submitted the following brief comments. You click use the Share Your Feedback form enter a version of these or your own comments into the form. Program funding was cut by over $400,000 several years ago and that funding has not been reinstated. The Board of Supervisors adopted the Bicycle Master Plan in October 2014. Included in the plan are recommendations to strengthen the bicycle program and to allocate an annual bicycle program budget dedicated to bicycle planning and programmatic initiatives. The plan also recommends establishing Bike Fairfax. While new funds may not be available, as the county transportation priorities change, so should allocation of transportation funds. I am asking that funds be found for the county bike program and for Bike Fairfax.